One of the few devices I’ve actually backed on Kickstarter is the Thermodo. 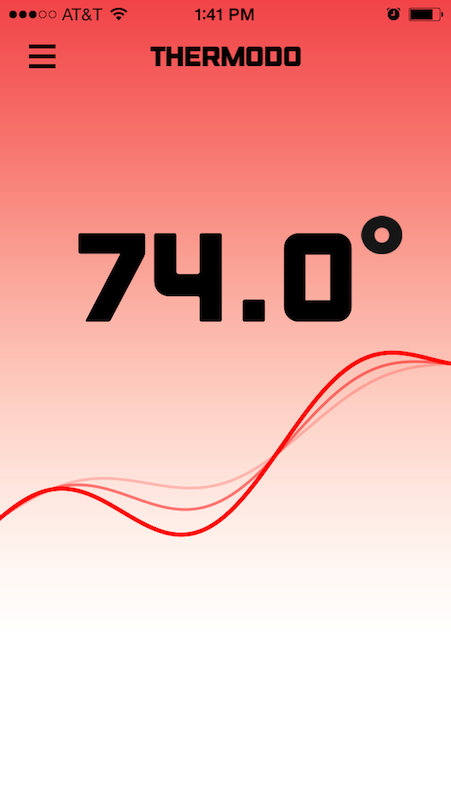 A tiny little thermometer that connects to your mobile device’s headphone jack and, alongside the companion app, displays the current temperature. It was a neat idea that I thought could have some applications in my day job as the Frozen Food Manager in a retail store. 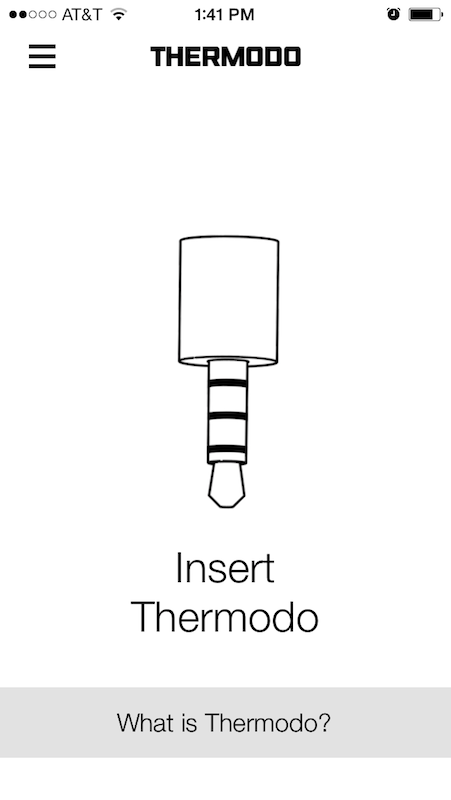 The Sensor inside Thermodo is a high grade precision sensor with decimal accuracy, chances are next to nothing that a reading is due to a faulty thermodo. In 99.9% of the scenarios, it’s about the environment. Things like microclimates and pockets of warmth radiating off objects is exactly the sort of things Thermodo is good at measuring – so consider all these things when you’re experiencing temperatures that you feel might be ‘off’. Which brings me to my first of two gripes with the device. 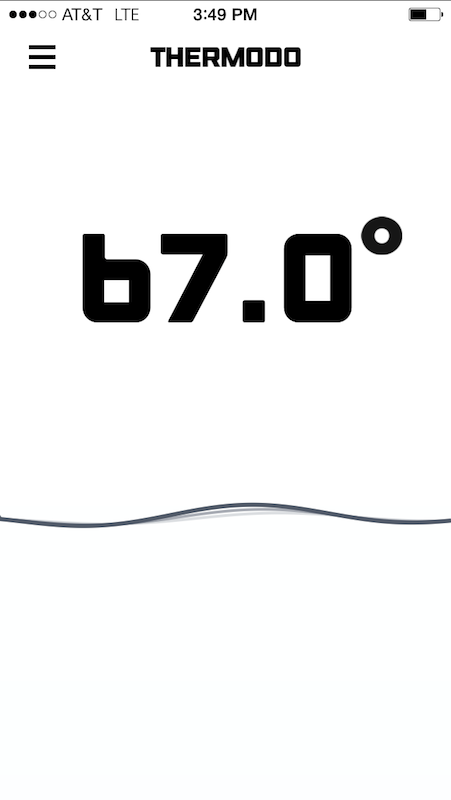 Sometimes the readings seem warmer than they should be, which often is a result of the Thermodo being too close to an object that’s giving off heat. Usually you can just move your device so that it’s further away from the object that’s radiating heat but sometimes that object is you and the only way to get an accurate reading is to set your device down and wait a minute or two until the Thermodo settles on a more accurate temperature reading. 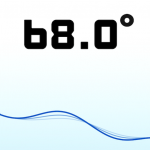 The more problematic object that results in inaccurate temperature readings is actually your device itself. Luckily the folks at Robocat thought of this while they were developing the companion app and added a setting to compensate for device heat. But, it leaves me concerned that the application is either over or under compensating for this additional heat and I’m never really sure whether to tell the app that my device is warm or operating at regular temperatures. 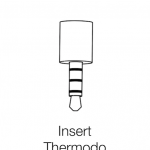 The second gripe regarding the Thermodo is that it can often take several minutes before it settles on a temperature. 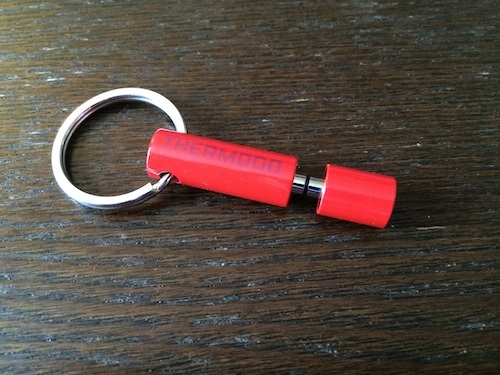 I usually keep my Thermodo in my pocket attached to my keys. But, that means that when I want to make a quick reading I have to take the Thermodo out and set it in the location I’ll be testing for a few minutes, so that it can cool down from the warmth of my jeans pocket. 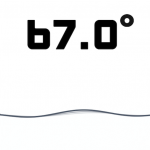 The core of the problem is that the Thermodo itself is much warmer from my body heat than the location I’m attempting to use it in and it takes time for the device’s housing to cool down to the temperature of its new environment. Certainly not a deal breaker but it does make quick temperature readings a much more frustrating experience. The Thermodo companion app that is very beautifully designed. 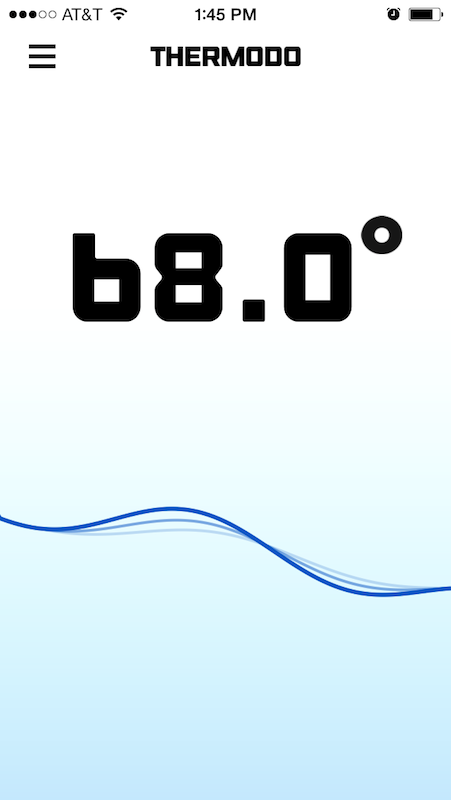 Large type displays the current temperature reading with a wavy line that turns blue or red depending on whether the temperature is getting warmer or cooler and moves more violently when the temperature changes are drastic. There’s a pull down menu from the top that gives you access to an about page with an explanation of the Thermodo and tips for more accurate readings, the applications settings, apps that use Thermodo (which is currently empty), and links to Robocat related material on the web. 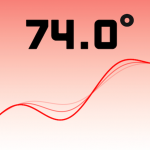 The application settings are very simple — options for Farenheit or Celsius, the ability to compensate for device heat, and a toggle to show or hide indicator arrows. 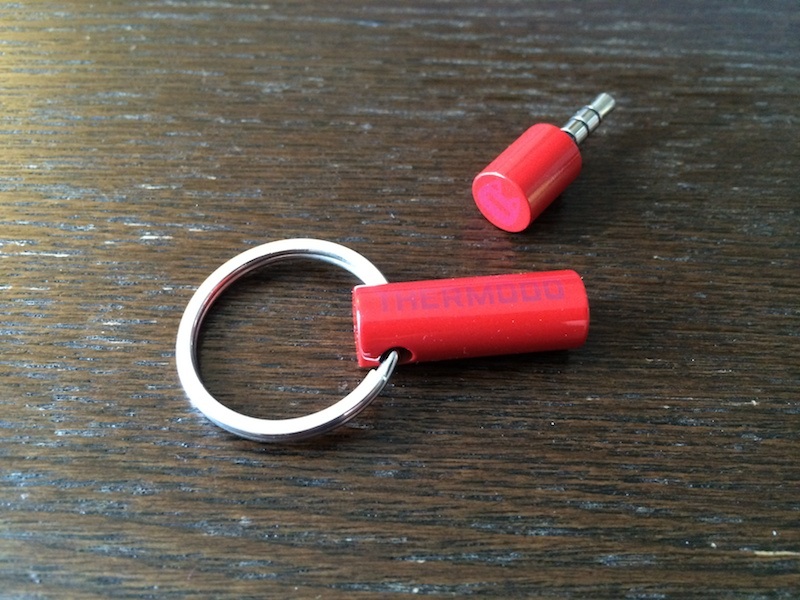 On the hardware end the Thermodo hardware is a very simple device — A keychain ring, the headphone jack casing, and the Thermodo itself which sits inside the casing when not in use. 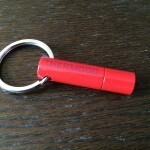 The casing has “Thermodo” written on the side and the end of the Thermodo has the Robocat logo printed on it. The casing holds the Thermodo in quite well and there’s a satisfying snap when you place the Thermodo in it that reassures me that it’s not going to fall out at inopportune times. The silver color that is hidden by the red paint is starting to show through on the edges after just a few weeks of use, which may or may not be bothersome to some users — I rather like the character it adds. Overall I’d say the Thermodo is very well built and I expect it to last for many years to come. The Thermodo is a pretty cool device that I’ve had some use for during the time that I’ve owned it — like when three of my frozen food coolers stopped working and I needed to check different areas inside of them to see whether or not I needed to move the product into another unit overnight until it could get fixed, that was a fun day. But, aside from catastrophic events (that very few people have to deal with) I’m not sure how much use I’m going to get out of it. It is novel to compare the temperature of the living room to that of the kitchen. But unfortunately it is just that, novel — a new and unusual object that’s fun to play around with. I’m simply not sure that most people would actually have any application for it. This might change once more applications are developed that make use of the Thermodo API, but I can’t really imagine what those applications might be. 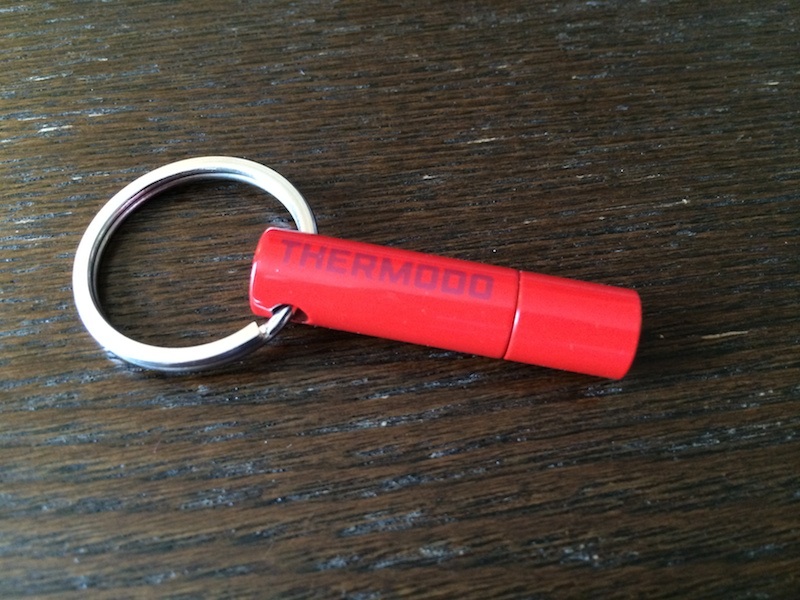 If you have an idea in your head of how you could actually use the Thermodo, I think it’s a worthwhile investment. 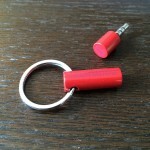 But if your unsure, it’s likely that it’ll end up in a drawer somewhere collecting dust. As of now, I plan on continuing to carry my Thermodo with me attached to my keys for the foreseeable future — it has applications in my day job and helped me deal with a difficult situation that I wouldn’t have been able to predict ahead of time. The Thermodo is currently available for preorder for $44.99 in anodized aluminum and $29.99 in black, white, and red.